Useful resources for campaigning and getting things done – leaflets, posters etc. Click on the leaflet to view a bigger version! Here are two of our leaflets for the group and our meetings. You can download it from the above link and print it out. If you can display this notice in your local area – cafe, pub, library, TA hall, public notice board etc – please feel free! Residents of the Heygate Estate in Elephant & Castle feel abandoned by regeneration plans. Watch here – Telly programme. Our regular meetings are generally every 3rd Tuesday of the month at 7pm. 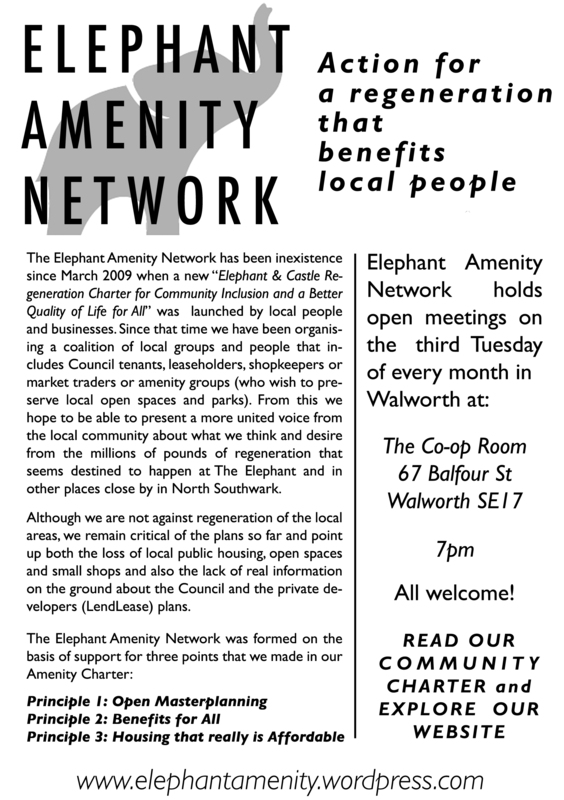 Our next meeting, the first of 2015, will be Tues 17 February 2014 6:30pm, Crossway Church New Kent Rd (On New Kent Road by the junction with Rodney Place). 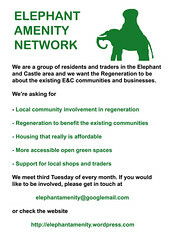 Click on the Elephant Amenity Charter above! 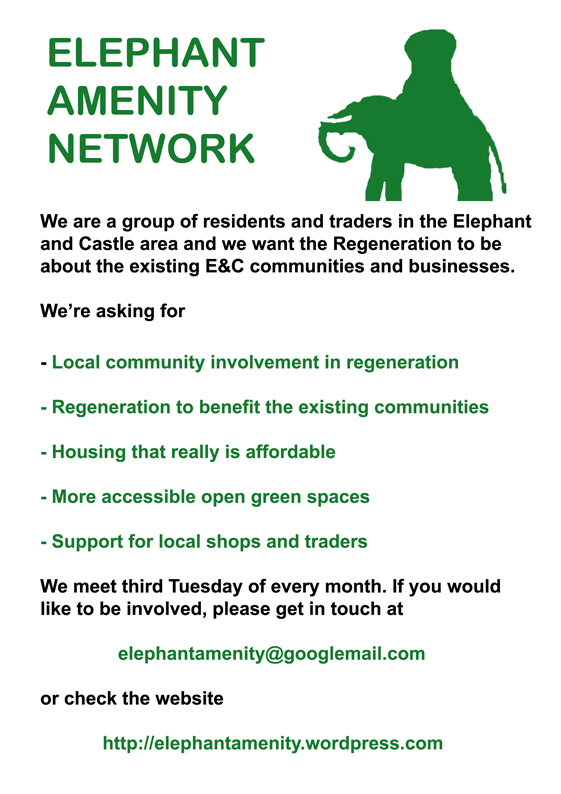 And if you want to know more about the long history of the Elephant and Castle "regeneration", click on the archive page above!